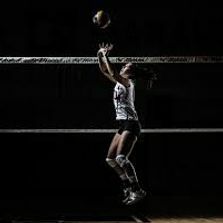 Thank you for your interest in the Junior Volleyball Recruiting Association’s High School Membership! After purchasing, you will setup your secure login and password. Resources provided through the High School Membership will be accessible to High School Coaches Only! Please Note: Memberships will not be available to High School Coaches and/or Staff Members that are owners, employees or affiliates of a recruiting service of any kind. All Memberships are verified upon submission. Please be sure to read Membership Agreement in its entirety.